For horse owners in the Geauga County area, Geauga Feed & Grain Supply offers the highest quality feeds to ensure top performance, growth, strength, and stamina. The right nutritional program will help keep your foal, pregnant mare, or stallion at top level no matter your goal. Whether you are developing a young athlete or raising a companion trail rider, we can recommend a nutrition plan that’s tailored to your horse’s age, activity level, weight, pasture and hay habits so they receive the optimum amount of protein, fat, fiber, vitamins and minerals. Because proper nutrition is key to your horse’s health, longevity, and performance, having your hay analyzed will help determine the amounts of nutrients present in your hay. This will allow you to properly balance your horse’s ration with their other feed sources. Call us at (440) 564-5000 for information and tips on collecting your sample. Because each brand of equine feed contains not only different ingredients — but different percentages of ingredients — we encourage you to talk to us about which mix might be best for your particular animal. We stock high-quality horse food in pellet form, sweet feed (fresh grains plus pellets), and solid block feed. Bulk farm order delivery is available. Call (440) 564-5000 for details. Progressive Nutrition draws on the largest, most complete nutritional staff in the U.S. and around the world. Their leadership in nutritional science, coupled with their access to high-quality feed ingredients and state-of-the-art manufacturing facilities, make Progressive Nutrition the premier choice for your horse feed and feeding program. 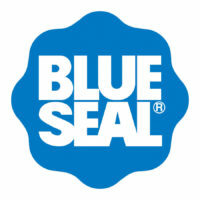 Blue Seal knows your horse’s health is important to you. The best foundation for good health is a balanced diet made from high-quality ingredients. Whether your horse is a companion pet, broodmare, growing foal, or competes in equine events, Blue Seal Feeds has a feed to provide the balanced nutrition to excel and maintain proper health. Nutrena knows it takes optimum nutrition to help your horse to develop properly, stay healthy and perform to the best of its ability. While others only consider ingredients – Nutrena focuses on nutrients. That’s why their equine nutritional solutions are formulated to deliver the right balance of nutrients your horse needs every day. We raise horses ourselves and are happy to answer any questions you may have about their nutrition. We also perform hay analysis testing at our store to ensure your horse’s diet is a healthy one. Call us at (440) 564-5000 with any questions or concerns.